Football star Aaron Hernandez went from the bright lights of the Super Bowl to a convicted murderer in a few years. 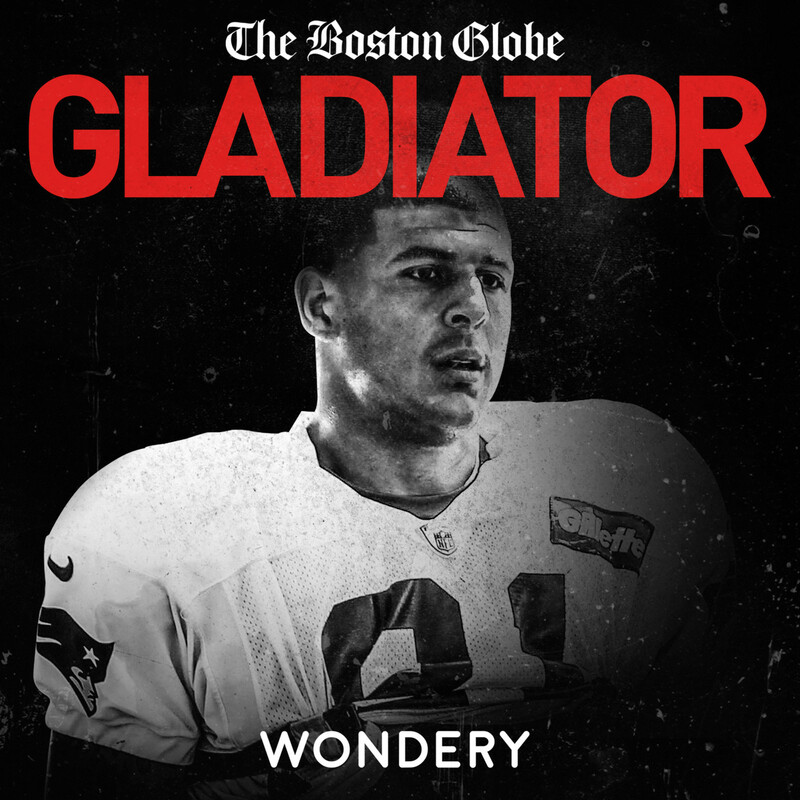 The Boston Globe’s Spotlight Team, best known for its investigation of the sexual abuse scandal inside the Catholic Church, takes a hard look at the crisis facing football through the lens of Aaron Hernandez’s life and terrible crimes.Did a brain badly damaged by football contribute to Hernandez’s violent behavior? Did he keep secrets about his sexuality that collided with a hyper-masculine football culture? Did elite coaches and teams look the other way as Hernandez was spiraling out of control?Spotlight uncovered new documents, audio, and interviews to go deep into the story of what happened to Aaron Hernandez, and what it means for those of us who cheer on a violent game. From Wondery, the podcast team that brought you Dr. Death. In life, Aaron Hernandez weighed 240 pounds. In death, the most important part of his body was just over 3 pounds. When researchers analyzed his brain they were shocked by what they found. A lifetime of football had seemingly taken a tremendous toll, but could it explain his violent crimes?Support us by supporting our sponsors!Zip Recruiter - Get a free trial and learn how to hire smarter when you visit them at ziprecruiter.com/gladiatorStamps.com - Use code GLADIATOR for a 4 week trial including postage and a meter stamps.comBrooklinen - Get $20 off and free shipping when you visit Brooklinen.com and use promo code "Gladiator" at checkout.